Being a Keeper isn’t just dangerous-it’s a constant reminder of those Mac has lost. Da’s death was hard enough, but now that her little brother is gone too, Mac starts to wonder about the boundary between living and dying, sleeping and waking. In the Archive, the dead must never be disturbed. And yet, someone is deliberately altering Histories, erasing essential chapters. Unless Mac can piece together what remains, the Archive itself might crumble and fall. The life of a Keeper is lonely. It’s why Mackenzie’s grandfather wanted her to wait until she was at least of age before embarking upon it, but she persuaded him to convince the Librarians to give her an early shot. Now Da is dead, and Mac performs her duties alone with no one, neither parents nor friends, the wiser to the dark, narrow path she walks. The “in between” is literally call the Narrows, serving as the space betwixt this world and Library where the souls of those shelved, called Histories, sometimes escape. The number of such events has increased, causing Mac’s list to be consistently full. This calls another Keeper, Wesley, to her territory, which isn’t that much of a shock, but when she also runs into Owen in the Narrows, she’s not sure whether he hunts the Histories or is one himself. How do you deal with grief and despair? Do you run from it like Mac’s mother? Do you ignore it like her father? Or do you wallow in memories that play out like silent film? The Library’s “shelves” offer those who can look a pathway to the past, but never a peace with it, and that’s what The Archived is about. It is a narrative of loss and letting go when circumstances give you the opportunity to hold on, but there’s no substance to this clinging, and all Mac has are shadows. When you work with the sea, you can’t avoid the water, and when your responsibilities entail holding back a tide that could wash what’s real away, it’s all the more important you don’t lose yourself to the past and its swells. Mac is one of those characters who is mature for her age, but still struggles with the heavy responsibility thrust upon her. She often convinces herself that she’s doing things to aid her mission, but neither she nor the reader are fooled. You can’t fault her though, because she has a great deal of remorse about Ben’s death. Her mother won’t even talk about it or mention his name, and her father just goes along with all of her schemes aka running away. Their current location is a old cafe/bakery on the ground floor of a hotel turned apartment. On the surface, it appears like a “fresh start,” but you cant just leave an undealt with past behind. There really wasn’t a love triangle (though I oddly liked both of the potential suitors), which surprised me since this is YA, and there were definitely two guys for Mackenzie to possibly moon over, but that’s not what this story was about. Schwab didn’t feel the need to force the paradigm for which I’m grateful. There’s a little bit of romance, but it’s not the main focus of the story. I don’t want to compare every YA story where survival and not romance is the focus to The Hunger Games, but it did set the precedence. Mac is inward like Katniss, but I’d say she’s not as impetuous and reactive as Collins’ protagonist. This doesn’t mean Mackenzie doesn’t make foolish decisions. At one point her sorrow surrounding Ben has her playing right into her enemies’ hands. It’s her weak spot. She literally cannot be rational when it comes to such, because the temptation to “see” him when the opportunity arises is too strong. 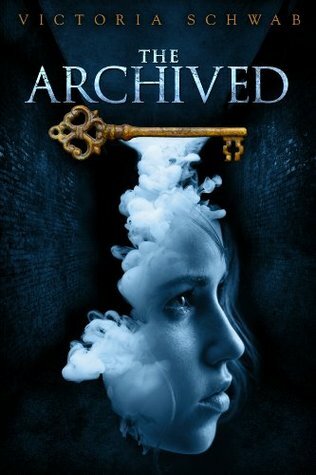 There is something far darker about the Archive that the Librarians know, but the Keepers are kept out of. An inkling of it spilled in this first book, and I’m certain the spirals will only go deeper. I think you would like this. I don’t *think* there’s any romantic stuff going on and if there is, it’s minimal and barely noticeable lol. I’ve only read one book by V.E. Schwab (her other pen name) but I really liked it. I should probably dabble more into her works. I started reading something else by her a while ago. I think it was about an alternative London and it was really interesting. It’s still on my TBR list. I forget why I decided to read this one first, but I’d definitely read more of her work. This sounds so interesting! Definitely adding it to my TBR list. 🙂 Nice review!